Servotech Power Systems used to manufacture Inverters, UPS and Servo Stablizers under the brand name “SERVOTECH” but started production of LED products in the year 2011. It is selling LED products under the brand "SAARA". The company manufactures energy efficient luminaries for residential, industrial, and commercial applications. Its products include LED light bulbs, LED downlights, LED flood light, LED panel lights, LED tube lights, LED bay lights, outdoor lights (street lights, floodlights). It is also a manufacturer and supplier of a comprehensive range of Solar Products that includes Solar BLDC Fan, Solar Home Light systems, Solar PWM Charge Controller, Solar MPPT Charge Controller, Solar water pump etc. The company’s entire range of products is fabricated at its manufacturing unit that is spread over an area of 1000 square meter and is equipped with latest machines. Most of its contracts for LED products are awarded on tender basis. The company bids for various government agencies/corporations/corporates via open tenders. Its customer base includes Tamil Nadu Energy Development Agency, Indian Oil Corporation Limited, Energy Efficiency Services Limited, Bharat Petroleum Corporation Limited, National Small Industries Corporation Limited. 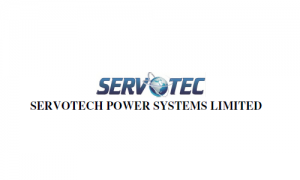 Servotech Power Systems IPO allotment status is now available on Bigshare Services' website. Click on this link to get allotment status.